He is one of the less known teachers as he tours only in Europe. I find his style very modern and appropriate for the audience. There are transcripts and videos on the website, there are also books you can buy. "Simply being is the ground, path and fruition of all existence. The teaching of this is known as dzogchen or the natural perfection of all experience. This is not an abstract idea but is the vital presence which we embody and engage with as the world around us. Dzogchen teaching recalls us to the open nature of all things, the natural state we have never left, yet have somehow forgotten." Astus, that dwawing: "Much Ado About Nothing" = a negation of a nonexistence. Unfabricated nature. That iron gate as symbol for Dzogchen of comparing, competition, entangled in dreamlike fabrication, grasping expressions, labeling, striving, partiality, hoping, fear, no confidence, assertive ideas/opinions.. This is a stilly statement. We never knew this natural state, had we known it, we would have never entered into samsara. then how can you" recognize" the natural state since you have never know it before..? 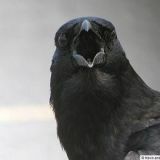 alpha wrote: then how can you" recognize" the natural state since you have never know it before..? "... the natural state we have never left, but have somehow never known" would have been good, though. Pema Rigdzin wrote: "... the natural state we have never left, but have somehow never known" would have been good, though. 'Known' but not recognized and thus forgotten? Recognition comes before knowing. I.e., if you don't recognize, you don't know. Note the prefix: re-cognition. One can only recognize what has already been seen. Perhaps introduction, then knowledge, then practice would be the recognition. Or, there is a background knowing--The Mother. And then teacher pointing is re-cognizing--The Son. Then ignorance would be knowing, but ignoring. But it can't be ignoring to the point of forgetting with impossibility of remembering, because the buddha-nature has no coming or going. It can't be lost. Buddha-nature is not like memories. It doesn't accumulate or dissipate. Therefore, recognizing in the sense of re-knowing is right. I believe it is called "recognition" because once pointed out you can see that it was always there all along, but you never took notice of it. Too busy following thoughts rather than awareness of thought. It's "recognition" in the same way one can "recognize" the error of his ways, eventually, after thinking he was right all along. adinatha wrote: Note the prefix: re-cognition. One can only recognize what has already been seen. Perhaps introduction, then knowledge, then practice would be the recognition. The point is aimed at the idea that we somehow forgot our real condition which we somehow knew before. My point is that this is impossible. This is just a semantic problem. Maybe an important one. "Recognition" does imply a re-uniting with a previous understanding/perception, but the Tibetan phrases translated as such don't have any of the causal or even teleological overtones. Much more like "having the import bestowed upon you," i.e., "introduction." The fact that what has been introduced is not newly arisen does not mean you've ever noticed it before. Using the same poor translation, to introduce would be to make someone recognize. I agree with Namdrol, my Dzogchen texts says clearly that rigpa or the natural state was neither known nor not known from the beginning. [/quote]Recognition comes before knowing. I.e., if you don't recognize, you don't know. Lets say the teacher introduces you ,you cant see it and then you go and practice and then you see it. That to me is identification of something which was explained to you but not seen at that moment.Once you identify in your experience what the teacher said then the knowing comes. When you are introduced, then you recognize, then you know. Game over. recognition is not the process to re-discover what was already known. It is the process of having it, dealing with it, without knowing it is that ... then the pointing out of the master makes you recognize it for what it is. Originally the pointing out instruction is on a one to one basis, making it strongly significant ... thus definitive freedom. On a large scale recognition has not the same impact. In other words, the primordial state of enlightenment is discovered. Mind-essence was pre-enlightened; our original ground is already enlightened. In the Dzogchen approach, this discovery is called being re-enlightened. 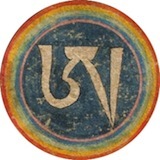 Mahamudra does not use these terms re-enlightened and pre-enlightened, but at the fourth stage of nonmeditatation the meaning is basically the same. ... Third is awareness-rigpa reaching fullness, and the fourth stage is called the exhaustion or depletion of all concepts and dualistic phenomena. This stage is equivalent of the stage of nonmeditation in Mahamudra. The ultimate state of enlightenment is being re-enlightened in the pre-enlightened original ground, as mentioned above. The best situation would be if we had never strayed into the deluded way of perceiving to begin with. But somehow it seems that we missed the opportunity to be primordially enlightened, and now we are deep in confusion. ... Even though we missed the chance to be primordially enlightened - "pre-enlightened," if you will - we can still attain stability in the natural freedom of our essence and become "re-enlightened." We possess an enlightened essence, but having temporarily lost that connection we are deluded. Continuously missing the opportunity to awaken, we fall under the power of our ordinary experience, governed by habits so strenuous to maintain such a clinging to a self. ... The loosening of our grasping untangles a knot in our heart; we do not need to stay bound and strangled by it. Likewise, from our confused state, we can be reprogrammed because we are primordially enlightened and we have the potential to return to that state as re-enlightened. Best to leave this for now and conclude by using Tulku Urgyen Rinpoche's words: ... The dirt has to be removed to re-establish the purity of the jewel. 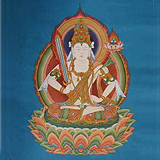 There is no term or concept in Dzogchen as being "re-enlightened". Does not exist and does not make sense.